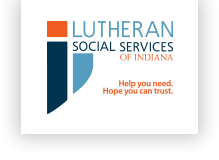 Lutheran Social Services of Indiana (LSSI) is seeking a Full Time Case Manager for Community Partners in Kosciusko County. This position is responsible for home based visits to provide case management needs including helping families achieve goals and provide knowledge regarding community resources. Valid driver’s license and vehicle for full-time business use required. Community partners and/or Network for Safe Families experience preferred. Must have access to the internet and experience with computers. 2 years experience in the social work field in Kosciusko County or surrounding counties preferred. LSSI is an Equal Opportunity/Affirmative Action Employer.